Recent polls conducted by dream researchers indicate that more people are having lucid dreams than ever before. The increase may be “between 10 and 40 per cent since the 1980s,” reports Mark Blagrove, a psychologist and dream researcher at the University of Swansea. If lucid dreaming has become a household word in the last ten years, we must thank the lifetime work of researchers like Stephen LaBerge and Jayne Gackenbach and the tireless work of lucid dreaming forum moderators like PasQuale of LD4All.com. Further, we owe the dreamers, psychologists and visionaries who have been exploring this natural vision state for the last thirty years, such as as Scott Sparrow, Fariba Bogzaran, Robert Moss and Robert Waggoner. However, lucid dreaming has much deeper roots than the last 30 years. While the history of lucid dreaming is often framed within the discipline of psychology, the slow movement of “waking up in our dreams” has had a much more powerful influence by indigenous peoples around the globe, for whom lucid dreaming is one part of a vast and complex spiritual practice known today as shamanism. How we’ve come to be influenced by these First Peoples is not always a pretty story, but their message is still coming through,reminding us what we have forgotten: that our dreams are an ancient portal to discovering truths about ourselves, our communities and our ecologies. Here’s a quick recap of how lucid dreaming has taken root. Westerners forgot about dreaming when the Church began to increasingly demonize dreaming and those who practice the dreaming arts. Dreams were the playgrounds of witches and demons. Theologians stepped away from the dream, arguing that it could not be told if the message was from below or above. Then, adding insult to injury, the Enlightenment segregated all subjective forms of knowing from the practice of science. Descartes used his lucid dreams as evidence that the senses were illusions and could not be trusted. (Don’t get me started on the paradox here). This is the double-bind of dream studies: even today, listening to a dream’s counsel is considered both devilish and irrational. Then — in brief — there was industrialization, the rise of nation states, modern warfare, and a tremendous expansion of colonialism. One product of 20th century military colonization was a renewed interest in indigenous peoples and traditional societies due to the power and provocation of photography. With this flood of anthropological studies came bizarre stories and images of trance states, sorcery and zombies. In particular, the work of Carlos Casteneda galvanized a generation about new possibilities in consciousness and spirituality. 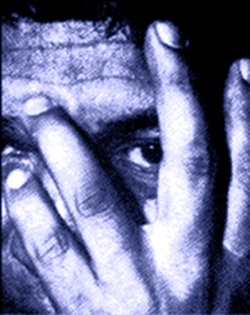 In lucid dreaming circles, Casteneda is given props for the reality check “look at your hand and realize you’re dreaming,” but his influence was much broader. He basically broke down the wall between fact and fiction, inside/outside, scientist/native through his imaginative—and best-selling—books. Anthropologists and academics all held raucous debates about whether or not Castaneda was telling the “truth,” while the availability of psychedelic drugs borrowed from indigenous societies proliferated through the respectable middle-class and its institutions. In the United States and Europe, this underground academic movement culminated in the Psychedelic Sixties. Humanist and Transpersonal Psychologies were also established in this era, focusing on positive psychology, human potential, and altered states of consciousness. Eastern philosophies – Zen Buddhism, Hinduism, and yoga (the spiritual practice, not the fat-burning work-out video)—also added to this rich, cross-cultural mix. In this expansive cultural climate, two books were published that set the stage for 20th century lucid dreaming. Celia Greene’s phenomenological study of lucid dreams was published in 1968: Lucid Dreaming: The Paradox of Consciousness During Sleep. A year later, transpersonal psychologist Charles Tart compounded the popular interest in lucid dreaming by publishing his highly influential Altered States of Consciousness, which reprints a essay by Frederick van Eeden, the Dutch psychologist who, in 1911, who may have coined the phrase “lucid dreaming” (for English speakers). Also, Tart reprinted a 1951 essay from anthropologist Kilton Stewart, which describes how the Senoi, a subgroup of the Malaysian culture group Orang Asli, practiced lucid dreaming. Like Castaneda, Stewart was a charismatic figure who influenced a generation of anthropologists and psychologists, even though his work is now considered to be somewhat fictional, or at a least highly imaginative account of his fieldwork experiences. Regardless, along with Castaneda, he casts a long shadow in modern lucid dreaming studies. Both these writers awakened an interest in the ancient practice of lucid dreaming, and in the 1970s lucid dreaming was re-framed as an altered state of consciousness, a path to spiritual ecstasy and a way to get high without using drugs. Since then, more anthropologists have reported indigenous dreaming societies that hone their dream skills in order to satisfy the basic goals of shamanism: for healing themselves and others, and for seeking power or information. Popular books on shamanism have celebrated many of these societies, such as the Aborigines and the Guatamalan Mayan, while others are less known, such as the Batek and Jahai peoples of Penisular Malaysia. These Malaysian dream societies, in fact, related to the culture groups studied by Kilton Stewart in the 1930s. While Stewart may have been loose with the details, contemporary anthropologists, such as Diana Riboli, Lecturer at Panteion University, actually confirm that lucid dreaming shamanism is alive and well in Malaysia. Without these still intact dreaming cultures, which are very much endangered by the continuous cultural whitewashing of globalism, we would still be hissing and crossing ourselves when someone mentions the weird dream they had last night. 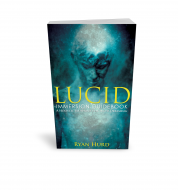 Are you interested in how to build your own sustainable lucid life practice? 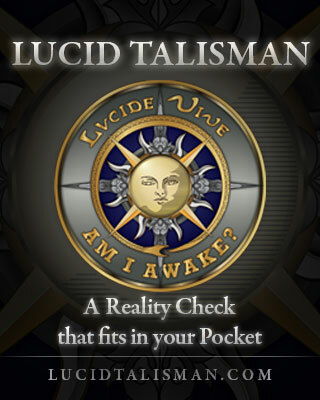 Check out the Lucid Immersion Blueprint — my multimedia guide to truly advanced lucid dreaming. 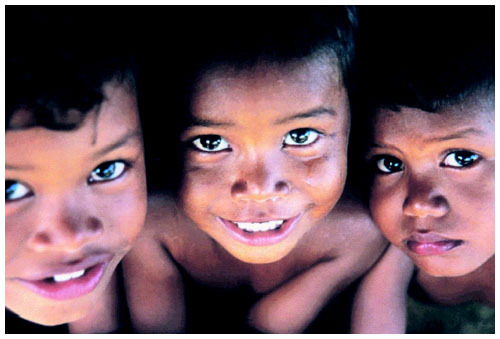 Top Image: Orang Asli children, by Colin Nicolas, founder of the Centre for Orang Asli Concerns, a non-government organization (NGO) that serves as a resource centre to facilitate Orang Asli initiatives at self-development and in the protection of their rights. Memories and sensations of a lot of dreams (old and new) are emerging from the Dream World to my waking life. 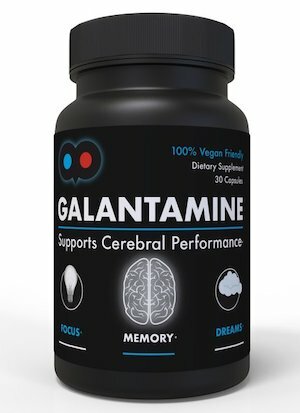 There are some of these sensations that bring lots of nice “estimulus” during the day. But if i write or talk about this feelings in a non lucid dream environment, people usually would be warning: ” hey, you should live with your feet underground, stop dreaming too much”. I will certainly refuse to live like that. For some non dreamers, the dangerous of climbing a mountain can be scary, but can bring a lot of nice feelings during and afterwards. For dreamers and lucid dreamers the dangerous of just entering a cave in your dreams can be scary, but can also bring knowledge, concious rebirth and a tasty layer of lucid awareness during the whole day. In a nut shell (like Ryan write in some, huahua), i still believe that Dreaming and Meditation are the most valuable conscious states that we should care and practice in our lifes. “Inside the drug airplane we can´t see and map the way to our lucid goal, so when we came back we have to pay another ticket to return to that beautiful landscapes, but the Meditation and Dreaming vehicles are fast and go picking all the good references, memories and emptiness to make the way and the goal just one thing, like life is, just one thing and no thing, hehehe. Nice article Ryan, i believe the Dreamstudies.org is one of the fews page about dreaming and lucid dreaming that are updating constantly. Thanks! New discoveries in the lucid dream field coming soon. In 2010 and 2011! i can´t tell you right now what it is, but i promise to all of you dreamers. Keep reading Dreamstudies.org, Ryan will be one of the first to know it. Fernando, do you know much about the spiritist view of lucid dreaming in Brazil? I live in Brazil and, in general, they (spiritists) tend to link lucid dreaming to astral travel, one way or the other, Ryan!